Snipegate Farm Boarding Kennels has the capacity to hold 60 dogs and is fully licenced by Dorset Council. With 45 fully heated kennels they offer the option to house up to 4 dogs together for multidog households. 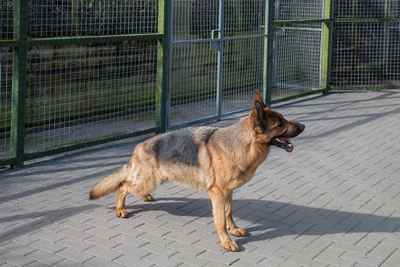 Every kennel has both indoor and outdoor access in addition to a secure outdoor exercise area where your dogs can run and stretch their legs. £14 per day per dog. £20 Bank Holidays per day per dog. We supply a chicken and rice dry base food with a tin food. The kennels are centrally heated. If you require further information, please phone or fill in the contact us form.